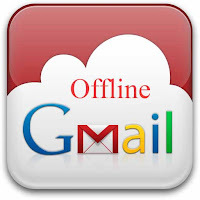 Gmail’s blog tell us that as of today we already have Gmail Offline is available, and that in the coming weeks we will also have Google Docs and Calendar. Gmail Offline is an extension for Chrome which will allow us to continue using such popular email client when there is no Internet connection, allowing answering emails, organize, read, or archive. When the connection is active again, the data is synchronized to avoid losing anything. Here we leave you with a screenshot of this excellent solution, hopefully not to long delays launch of Google Docs which we have asked in the forums. Copies of the emails are stored on the computer where we have the extension installed, which is not recommended for use in machines for public use.